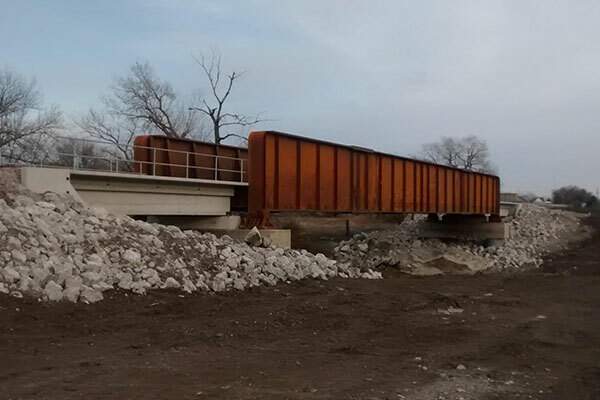 Kraemer replaced the BNSF BR160.76 bridge near Tecumseh, NE, which included an existing 130-foot steel truss span and two 40-foot steel DPG approach spans. The old bridge was replaced with a new 157-foot TPG span and two 40-foot precast box girders approach spans. The new TPG span was constructed on temporary falsework adjacent to the existing truss. Kraemer completed a successful switchout of the existing structure during an 18-hour window.